So another year is nearly over. I suggested to Nan and Laurie before Christmas that may be we should do a review of the year. But it would be like repeating the year. What could we leave out? I have taken a look back over the year and each time I do it with the intention of writing something about the year I get engrossed in the articles and especially the comments you all make. No self discipline!! The big change for me this year has been your contribution via the comments, which has been huge, and we thank you for your valuable input. As Nan mentioned over Christmas the addition of Laurie and myself has added breadth/depth to the coverage of Filofax topics. Our coverage in the media and the internet has increased in the last year. We have got Philofaxy noticed that's for sure! 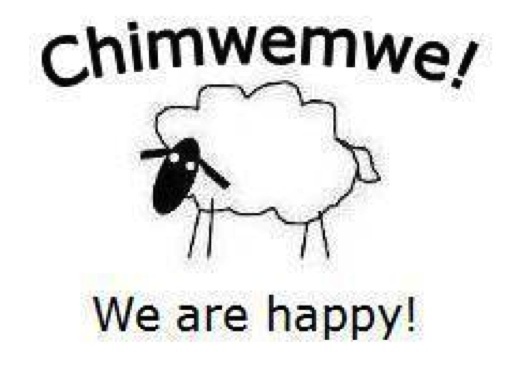 And again we thank you for your mentions, which I'm sure have contributed to more visitors to the site. When I got the invite to be a contributor in June from Nan, I sort of panicked at first, what can I write about often enough to keep you all interested. But my fear was short lived. I just write about more or less what I like on topic... and it seems to spark your interest. I'm sure the three of us will continue in our own style in 2010, giving you all ideas, making you pause and think 'why don't I give that a try' 'oh I like that idea' I'm sure you have had those moments after reading a post. I will do the occasional 'One Year Ago on Philofaxy' post in future or some other interval in the last 5 years of Philofaxy to remind ourselves of earlier posts and ideas contained in them, there are plenty of them as I discovered! So once again thank you for everything in 2009 and I wish you all the best for 2010. One of favorite uses for my Filofax is idea capture. I keep lists of little ideas like books I want to read and websites I want to visit, to the big ideas: my next career, plans for my house, blogs to create. I have to admit, I obsess about these ideas. I'm afraid of losing any of them. Switching from one planner or format to another is especially traumatic, because I have to decide what to do with the idea lists. Copy them over? Archive them? Toss them out and move on? I almost think of the ideas as living things. It's strange that I cling so tightly to these ideas, because I don't act upon most of them. But when I go over old idea lists, I find that lots of them do get done, but not at the same time or in the same way I originally envisioned. After I record an idea, it really does seem to have its own lifecycle. Some year I have tons of ideas. At the end of 2008, when I switched to Cotton Cream paper, I reviewed my existing lists, which were on a slew of colors and sizes of paper, and wrote the ones that seemed most significant onto the new paper. I found that 2009 was not a year of ideas for me. I added very, very few new ideas to the lists. Maybe that's a sign I need to either act upon or get rid of the existing ones. I've been obsessing about what to do for 2010. Just keep the 2009 lists and put them in my City Dweller? Or do a complete reboot? I've decided on a complete reboot! Go over all of my existing lists. Rewrite the items I want to keep, and say goodbye to the rest. Just let them go. Stop carrying around thoughts that are no longer right for me. That's what I'm doing today. Filofax.co.uk has a new viewing feature that lets you see the exact contents of the City Dweller, Family Organizer, and Travel Journal packs before buying. For example, go to http://bit.ly/FilofaxCity to see the City Dweller. Click the image, and you'll see an animation of the pages turning in 3D. You can click through and see an example of all of the different leaves that come in the pack. The image is enlarged so you can really see every detail, and some of the pages have been filled in with handwriting so you can get some ideas for using them. This feature is now part of Filofax.co.uk's online store. For the Personal size, for example, go to this page: http://www.filofax.co.uk/store/paperessentials.asp?tn=1&control=processrequest&SizeId=3. Click the link that says "Flick through the pages in 3D." For 2010, I'm using the City Dweller as my personal organizer. I ordered it several months ago, when the preview wasn't available, so I had no idea what the pages would look like. I don't regret the purchase, but I'm glad that Filofax added this new feature so future customers can get a wonderful 3D preview of what they're buying! I think we all use the A-Z index tabs for addresses and for sorting notes for projects. I've also used the blank tabs for my own section dividers. Anyone know what you would use the numbered ones for (1-6) ? They appear to be available in Personal and Pocket sizes only. So the year is drawing to a close... time to think about what new years resolutions you might set yourself in 2010. I'm normally not very good at setting myself such objectives/targets. Although I did fairly well in 2009 to record more of my life on a weekly/daily basis in my A5 Filofax journal organiser. I feel this coming year I'm better prepared. I was slightly phased last new year when I quickly realised I might have bought the wrong refill for 2009. This coming year is likely to be a fairly busy one for my wife and I as we are hoping that our house sale is finally concluded and we emigrate from UK to France... there will be another blog! So my Filofax organisers will be more and more important to the smooth running of my life this year. Did Santa bring you any Filofax goodies? I just wanted to wish all of our readers a merry Christmas (or a happy December 25th if you prefer). I also wanted to thank Steve and Laurie for joining me on the Philofaxy team, and all of the wonderful things they have done for and brought to this blog. Christmas is about many things...hope...gratitude...and, yes, gifts. So thank you to everyone for the gifts you give to Philofaxy every day of the year. Filofax UK are offering a 30% off discount sale by following the link here Hurry because the offers are only while stocks last. The sale starts at 5pm on Christmas Eve and runs through until the New Year. So if Santa didn't bring you what you wanted from the Filofax store... take a look and treat yourself. Over at DiY Planner, they have been providing template packs for some time. More recently they have also provided Dynamic Templates that allow you to generate a variety of pages on your PC or Mac which you can save as pdf's and print out on a variety of different paper sizes. This week version 2.05 of the Dynamic Template software has been released for a free download. I've downloaded it and installed it on my iMac and it works really well. The main change is that they have merged all the different type of templates in to one package. So why not download a copy of the application and give it a try. Hello everybody from Snowy Scotland! Just popping into a cafe for emails and a quick post. Christmas is just a few days away and the frenzy is nearing its peak! Thank goodness for my Filofax. I use it (actually them, plural) the most around the holidays I think. My household A5 holds my Christmas card list and the addresses of all the people I send to, and all my stamps so it's a one-stop place for all my card-sending needs. My Scotland Filofax is useful as ever while I'm here on my trip. I left my blogging Filo (purple personal Fins) and Ivory Deco at home. It was hard to choose what to bring and what to leave! But that's the beauty of a Filo: I took out the pages I needed for this trip and stuck them into my Scotland Filo. I do a lot of page-switching around from book to book! How is your Filofax useage evolving this holiday season? New Year's resolution/ goals changing? New diary format? Branching out into multiple Filofaxes? This is a time of change and Filofaxes are great for that! So are Filofax organisers or 'planners' (generic) coming back in fashion? Have we at Philofaxy inspired enough people to start using a Filofax for the first time or to get that once loved Filofax out of the bottom drawer again, load it with some pages and put it back in to regular use? 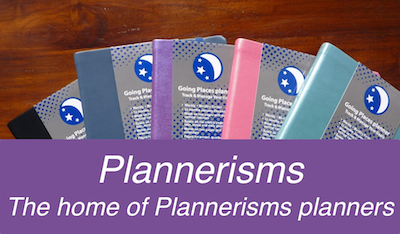 Well there seems to be more and more of us talking about 'planners' and of course included in that is Filofax. 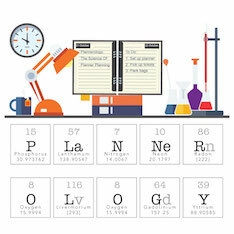 In the last few months a few new blogs have appeared dedicated to planners, all friends of Philofaxy of course. Take a look at the links in the left hand side bar, we have added those we know about. Will 2010 be a year when we see more and more people using a Filofax on a regular basis? I wonder if Filofax will bring out more niche products in 2010 like we saw with the Beauty Gift Box? May be something aimed at guys? Well we are a bit snowed in here in SE England, nice and sunny though. I've been doing some work at home instead. Thank goodness I carry my work phone directory in my A5. I'm not a big fan of December, not because of Christmas, it's just that in my industry people are dashing around like headless chickens trying to get a months work done in just over 3 weeks. It does lead to some interesting times! But I'm not one of the headless chickens... ah you see my secret weapon, my Filofax has it all under control. Technically my workplace closes for a few days over the holiday, but in reality some one could get called in, myself included. So it is wise to have everything in hand. Contacts up to date, notes of my teams where abouts over the holiday in case I have to call on someone. So how are your plans coming together for the festive season? You can be forgiven if you think all we are posting about this week is to help you spend money!! I guess like me the others are busy as well. Creating Personal Size Filofax Pages. As you will know it's easy to create A4/A5 size pages, it's the one reason I graduated to that size a few years ago. However creating Personal sizes isn't quite so easy. So here is a quick guide. Create a new template in Word or OpenOffice Write and then make an A4 landscape page. Add a 3 cell table in a single row, and size each cell to the size of a personal page which is 95 mm wide by 171 mm tall..Also make the borders as thin as possible and with a dotted line - - - - - you only need to use these lines as a guide to cut out your pages. In each cell make the cell margins at least 18mm on the left and say 5 mm on the top, bottom and right hand side. I've found that you need a 18-20 mm left hand margin to allow for punching the holes. Now you can either create your own details within the template, or resize some of mine to suit. Most of them follow a similar pattern though and shouldn't be difficult to modify to suit. I also use tables so they are easy to resize and then copy and paste in to the template. Then all you need to do is print off the pages and trim the pages to size and punch them. You might need to experiment with your designs, but that is part of the fun in creating your own and they only cost pennies/cents. Filofax actually sell computer paper in A4 size that is already perforated in Personal size, this is easier to use in some respects, but you just have to line up your template to print on this paper. Hey US Filofaxers, you're not left out of the big savings! You can get 30% off select organizers at FilofaxUSA. And as if that weren't savings enough, you can get free shipping on orders over $55! So if you were thinking of giving or getting Filofax, now's the time! So if you missed out last weekend. This coming Monday is Magic Monday.. 20% off Filofax organisers. Click on the image below and between 9am and Midnight (UK time) on Monday 14th December you will get 20% off your purchase by entering the code XMASMM at the checkout. Steve and Nicola's exchange re: maps got me thinking about how I use maps in my Filofaxes. My opinion is, the more maps the better! I always seem to find myself needing a map. In my very first pre-Filofax planner (a personal size Cambridge) I photocopied a map of the big island of Hawaii, where I was about to move, and poked holes along the edge with a sharp pencil to put it onto the rings. This is a technique I still use, actually, for maps that Filofax doesn't carry. In my A5 Finsbury I have a map of Albania that I copied out of my guide book, for general road trips planning. Also in my A5 Fins I have an A5 Filofax world map and the A5 size British Islands maps (which I bought from the Filofax UK website), which are very useful when I grab my Filo to look up a location. My A5 lives by my computer so it's always handy. In my Scotland Filofax I have as many maps as possible. World map (actually I keep a world map in almost every Filofax I own), British Islands. I also have the Filofax maps of London (which consists of 3 maps that together comprise most of central London, with street names on the back) because I usually spend a day in London on my way up to Scotland. I also have the London rail systems and Underground map, which is very handy. I also have a map that has Edinburgh on one side and Glasgow on the other, that I cut out of the free Letts Scotland diary that came in The Scotsman newspaper in January. I sliced the page out of the diary, put some tape on the edge, poked some holes and into the Filo it went! Very handy. In my black Buckingham I store my US maps for when I go back to visit family and friends. I have a US road map (which in the personal size is so tiny it couldn't really get you anywhere, it really just gives you an idea of which highway would be better to get you across the state or the country) and a US times zones and area codes map. I also have a Washington DC street map, which I used all the time when I lived in DC. I usually go through DC whenever I go back to the US so it's convenient to have it in my Filo. In my Deco, which is now my everyday notes/ lists/ addresses/ everything except my planner book, I keep a world map and my ancient Europe map (which is so old it still has Yugoslavia!). The people I know travel a lot, and to places all around the world, so usually during the course of a conversation I need to look at a map to see exactly where they are talking about. I have learned more geography this way than I ever learned in school! The problem with Filofax maps is, there just aren't enough of them. As Nicola discovered, there aren't enough of the city maps. (And actually I'm shocked that they don't have Toronto! But sure enough, they don't.) I understand that Filofax only carries maps that they believe will sell well. And I know in this day and age it's maybe a little archaic to use paper maps at all (although after hearing some people's GPS navigation stories, I don't trust those things at all!!). But being a paper-person, and a maps-person, I do wish they had more maps available. 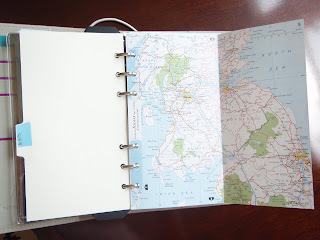 Do you use maps in your Filofax(es)? Which maps do you wish Filofax had available? December is in full swing and the pace seems to get more and more rapid every day. I am currently swamped with various things, not least of which is getting ready for our trip to Scotland over Christmas and New Year's. I'll be bringing along my Scotland Filofax (personal size Domino, in Grape) containing my tabbed sections of regions and cities, maps, my growing list of contacts, and records of places we have stayed and other details. It becomes more useful with each trip. Do you have any travel plans for the holidays? 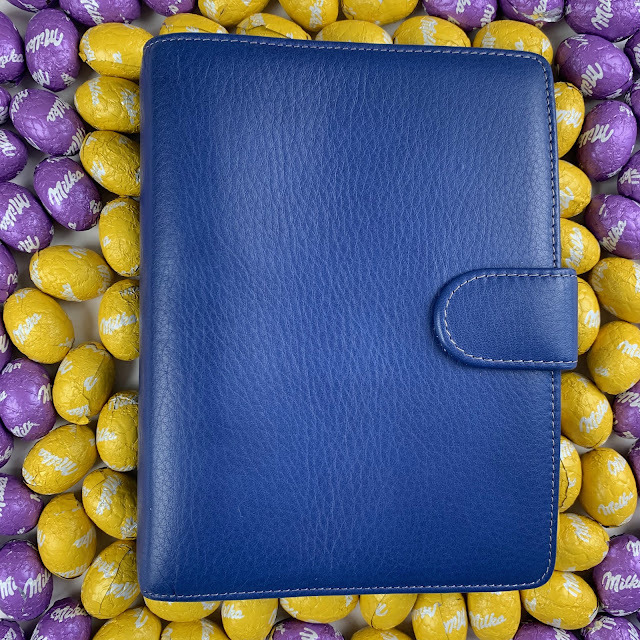 How is your Filofax helping you prepare for this busy time of year? Huge discount on Dodo Pad A5 Filofax 2010 diary inserts! For all of you users of an A5 Filofax, here is a planner/ diary insert that is different from the same old straight-laced Filofax refill. 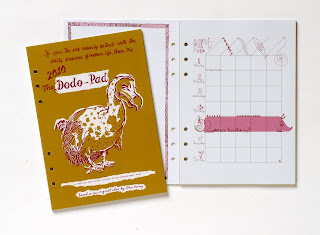 The Dodo Pad diary is a bit of a cult and is now in its 44th year, available for the first time for 2010 as an A5 Filofax insert! The last few are available at a huge discount, 55% off! Just enter promotional code 09FX at checkout to receive your discount. You can see more about the Dodo Pad Filofax 2010 insert at http://www.dodopad.com/dodofax/dodofax.html and click on http://www.dodopad.com/acatalog/Diaries_Calendars__.html#aDPFX10 to order. Supplies at this discounted price are limited and when they're gone, they're gone! For those of you who are unfamiliar with Dodo Pad products, let me initiate you. They have been a fixture in UK households for the last 44 years and counting, and are only just starting to become popular in the US. The original Dodo Pad diary has a weekly grid format for keeping track of each person in the family, or for appointments and tasks, or different types of billable time at work, or endless other uses. 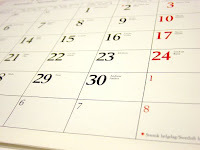 Every week on the calendar there is a notable date or anniversary, artwork, and some kind of funny quote, riddle, or something interesting, with plenty of space for notes, lists and doodles. Each week is different and it's fun to see what is coming up next. The thing I like about Dodo Pad products is that they are funny and clever and keep your life organized, but at the same time remind you not to take it too seriously. So check out their website and get some great discounts!